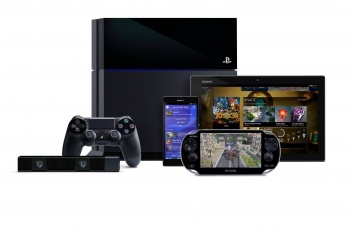 Sony wants to be the independent developer's new best friend. "While others have shifted their message and changed their story," says Sony's Andrew House, "we were consistent in maintaining a message that is fair and in tune with consumer desires." When Microsoft announced that gamers would have to get used to new ways of purchasing and playing games it took Sony by surprise, according to House. Sony claims not to be interested in "over analysing" what the competition is up to, but when the competition makes what seems such a colossal misstep, Sony's happy to benefit. Consistency, it says, is the goal; it doesn't see the need to deviate from current, accepted business strategies. "We thought perhaps slightly naively that the current model worked quite well and was consumer friendly," says House. But all the omens seemed to indicate that Microsoft was about to head decisively in another direction, so it became necessary for Sony to step up and say what its intent was. The rest is E3 history. House is very pleased to see Sony's strategy rewarded with over a million PS4 pre-orders. "Maybe it's just that the current lifecycle has been rather more prolonged than it has been previously," he says, "but there does seem to be this demand." But Sony's not ignoring the future. It wants to capture independent developers, and feels it's on the right track. The consumer wants it all, so Sony wants it all too. "Our role should be to offer a creative palette that's equally as engaging to a team of seven people who are just emerging with their first console game," says House, "as it is to a team of many hundreds backed by a large publisher, working on the latest instalment of a high-end blockbuster." House thinks this is the Hollywood option, and suggests that this strategy is much like the film business remaining vibrant and relevant by producing not only high-end content, but also "quirky arthouse films." People enjoy both, they buy both, they demand both; therefore, says Sony, give them both, as often as possible. House is looking forward to the next stage in the console war, and wants to see Sony's latest and the Xbox One go head to head on release. Both are due in November 2013, but Microsoft has yet to confirm an actual date. It would be very interesting to see how the more expensive console with the attachment few people seem in love with will fare against the PS4; we'll find out at Christmas.